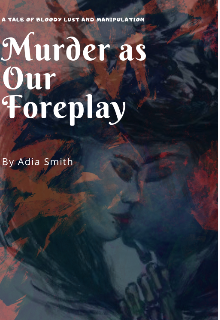 Description of the story "Murder as our foreplay "
After her killing spree, serial killer Ember Grey has been locked up in solitary confinement until her execution date. Seeing it as an opportunity, Dr. Alex Riley, true crime writer, urges her to tell her story of how she became the vicious woman she was. Unbeknownst to him, Ember was prepared to delve into her past, dragging him down with her in the twisted story of love, drugs, money, abuse and murder. "She made me who I am", Ember said with a reflective tone in her voice. "but I loved her for it". Jeanette Adams, I'm glad you enjoy it so far. Please Look out for the update tonight. Ashley Lewel, I'm so happy you are. Thank you for your comment.